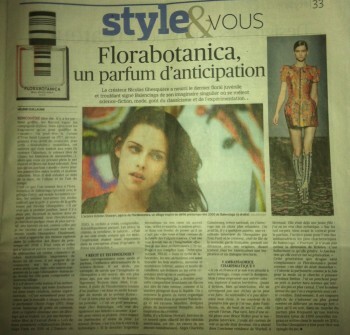 Finally, there is Kristen, heroine of this new olfactory opus (and American tabloids this summer because of her tumultuous love affairs). After Charlotte Gainsbourg, national treasure, one wonders about the Atlanticist choices. We had read a few years ago, a great interview with Guesquière by Tom Ford where the creator, leader of the new French department, took his distances with his origins saying that he was finding an inspiration and a strong dialogue with the Americans. On the red carpet, before the contract for the perfume, the actress is considered one of the most charismatic ambassadors of Balenciaga. "But I did not consider the size of Kristen. It's amazing what she generates, the fascination she exerts on her generation."